1. General These terms and conditions apply to Sigstr’s Agency Partner Program (“Program”). By referring a Qualified Customer the Referring Party agrees to be bound by these Terms and Conditions (“Ts&Cs”). The Agreement is current as of the Effective Date listed above and shall remain in effect until and unless they are superseded by a more current version. Any changes or updates to the Agreement shall govern all activities under the Program. 2. Definitions a. Qualified Referral: A Qualified Referral shall be defined as a new potential customer – i.e. no prior business relationship with Sigstr either directly or through a parent organization, subsidiary or affiliated entity – that is not a business prospect of Sigstr at the time of the referral and shall include: i. A company with more than 50 employees, which has not been contacted directly by Sigstr in the last 6 months, at the time of the referral. ii. And a contact at the company who has influence over the email signature and who directly influences the purchase of Sigstr. b. Qualified Customer: A Qualified Referral becomes a Qualified Customer by entering into and maintaining recurring monthly business or an annual contract with Sigstr for a period of twelve (12) months. In order for the referral of the Qualified Customer to be eligible for the Referral Award under the Program the Qualified Customer must sign up as a new Sigstr customer within six (6) months of the Referring Party’s referral of the Qualified Customer. 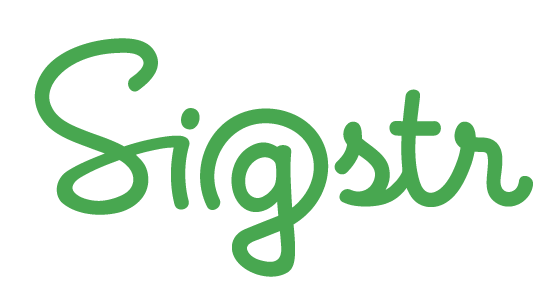 Referred customers that become Sigstr clients more than six (6) months after a referral shall not be considered Qualified Customers and shall not entitle the Referring Party to a Referral Award. c. Referring Party: In order to be eligible for participation in the Program as a Referring Party, the Referring Party: i. Must be at least 18 years of age; ii. May be an existing Sigstr customer iii. May not be a Sigstr employee d. Referral Award: The amount to which the Referring Party shall be entitled to as an award under the Program shall be ten percent (10%) of the annual recurring revenue, excluding any one-time costs related to implementation, or custom development or service work, generated by Sigstr from business with the Qualified Customer during the first twelve months after the Qualified Customer becomes a Sigstr client. The Referral Award shall not exceed twenty-five thousand dollars ($25,000.00) per Qualified Customer referral. The Referral Award shall be paid based upon the first twelve (12) months of revenue from the Qualified Customer only. Customer/contract renewals beyond the first twelve months of new business with a Qualified Customer shall not be eligible for a Referral Award. e. Award Payment: Award Payments will be made quarterly. Award Payments will be distributed as referred Qualified Customers make payments to Sigstr. 4. Relationship Between Sigstr and Qualified Customers: Sigstr shall have sole discretion in determining whether to enter into a business relationship with a Qualified Customer. In the event that Sigstr decides not to enter into a business relationship with a Qualified Customer no Award Payment shall be owed to the Referring Party. A Referring Party shall have no involvement in developing the business relationship between Sigstr and a Qualified Customer beyond the initial referral of the Qualified Customer. Participation in the Referral Program grants no authority upon the Referring Party to act on behalf of Sigstr, bind Sigstr in any way or enter Sigstr into a business relationship. It is acknowledged and agreed to by the Referring Party that the Referring Party is not an agent, employee or subcontractor of Sigstr. Attempts to develop a business relationship between a Qualified Customer and Sigstr beyond an initial referral shall result in a Referring Party becoming ineligible for a Referral Award. 5. First to Refer: If the same Qualified Customer is referred by more than one Referring Party, the Referral Award shall be paid to the Referring Party who first referred the Qualified Customer. 6. Taxes: Sigstr is not responsible for withholding, reporting or paying any taxes for which a Referring Party becomes liable as a result of receiving an Award Payment. Referring Parties are solely responsible for any and all tax liabilities associated with the Program. 7. Additional Terms and Conditions a. Void Where Prohibited: This Program is void where prohibited by law. b. Fraudulent Conduct: We reserve the right to change the terms and conditions of the Sigstr Referral Program at any time, without notice, at our sole discretion. We reserve the right to withhold a Referral Award or disqualify the Referring Party from the Program if Sigstr believes, at its sole discretion, that fraudulent behavior or other illegal or unethical conduct has occurred in any way that compromises the fairness the Program in any way. Fraudulent or unethical means of communication such as using bots, fictitious identities, fake emails, or scripts is also prohibited and will result in similar actions by us with respect to terminating your account and participation in the Program. c. Hold Harmless: By participating in this Program, you agree to release and hold harmless Sigstr Inc., and its affiliates and subsidiaries, directors, officers, employees, consultants, and agents, and any other entity associated with marketing this Program (collectively, the "Released Parties") from any and all claims or damages arising out of, or in connection with the Program. d. Confidentiality. Each party acknowledges that by reason of its relationship to the other party hereunder, it may have access to certain information and material concerning such other party’s business, plans, customers, technology and products that are confidential and of substantial value to such other party, which value would be impaired if such information were disclosed to third parties (“Confidential Information”). The party receiving Confidential Information agrees that it will not use in any way for its own account or the account of any third party, nor disclose to any third party, any such Confidential Information revealed to it by the other party. In the event of termination of this Agreement, there shall be no use or disclosure by the receiving party of any Confidential Information of the other party and any materials related to the other party shall be immediately returned to such other party. The receiving party acknowledges that the provisions of this Section 8 are reasonable and necessary for the protection of the other party and that the other party will be irrevocably damaged if such covenants are not specifically enforced. e. Severability. Every provision of this Agreement is intended to be severable from every other provision of this Agreement. If any provision of this Agreement is held to be void or unenforceable in whole or in part, the remaining provisions will remain in full force and effect, unless the remaining provisions are so eviscerated by such holding that they do not reflect the intent of the parties in entering into this Agreement. In such event, the parties agree to negotiate in good faith on replacement language. If any provision of this Agreement is held to be unreasonable or excessive in scope or duration, that provision shall be enforced to the maximum extent permitted by law. f. Governing Law. This Agreement shall be interpreted and enforced in accordance with the laws of the State of Indiana. Each party agrees to and hereby does submit to jurisdiction before any state or federal court of record in Marion County, Indiana, for that purpose, and each party hereby waives any right to raise the questions of jurisdiction and venue in any action that the other party may bring to any such court. © 2017 Sigstr. All rights reserved.